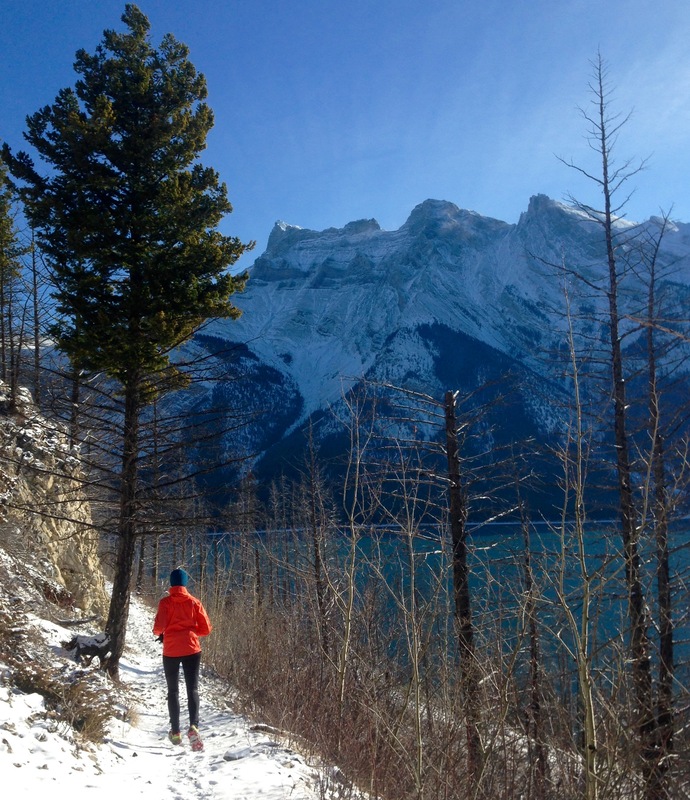 I’m truly baffled as to why it took me so long to head out on the trails around Lake Minnewanka. What a spectacular place to run. I’ve walked there, i’ve taken the kids and visitors there, i’ve eaten ice cream there, i’ve even potted around the lake in a small boat and walked across it last winter when it was frozen. 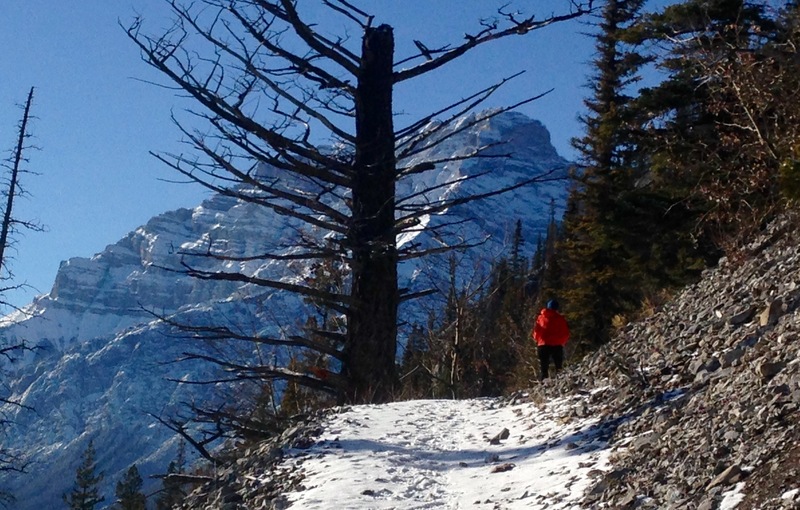 But it wasn’t until this week that I finally ran there with Ms. Canmore Runner (who has run there). It seems i’ve been missing out on something quite stunning. 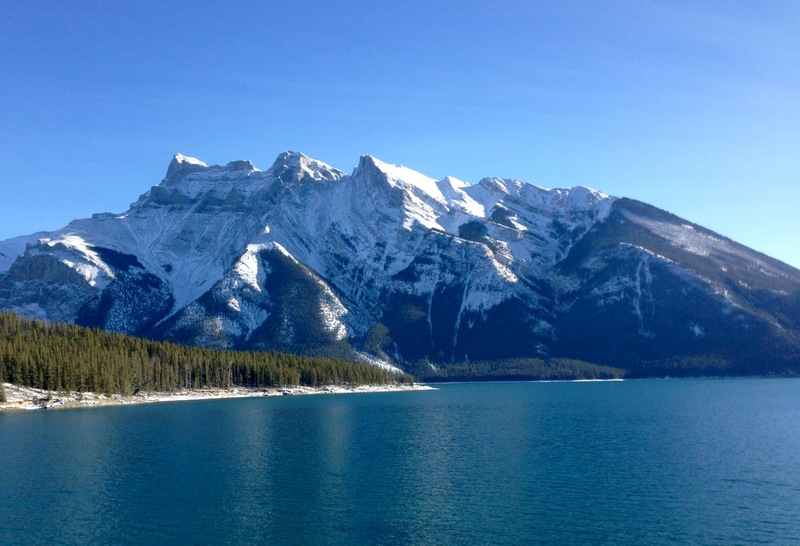 Located 4.5km north-east of Banff, Lake Minnewanka is a glacial lake fed by the Cascade River, flowing east of Cascade Mountain through Stewart Canyon and into the west end of the lake. Numerous streams flowing down from Mount Inglismaldie, Mount Girouard and Mount Peechee on the south side of the lake also flow into it. 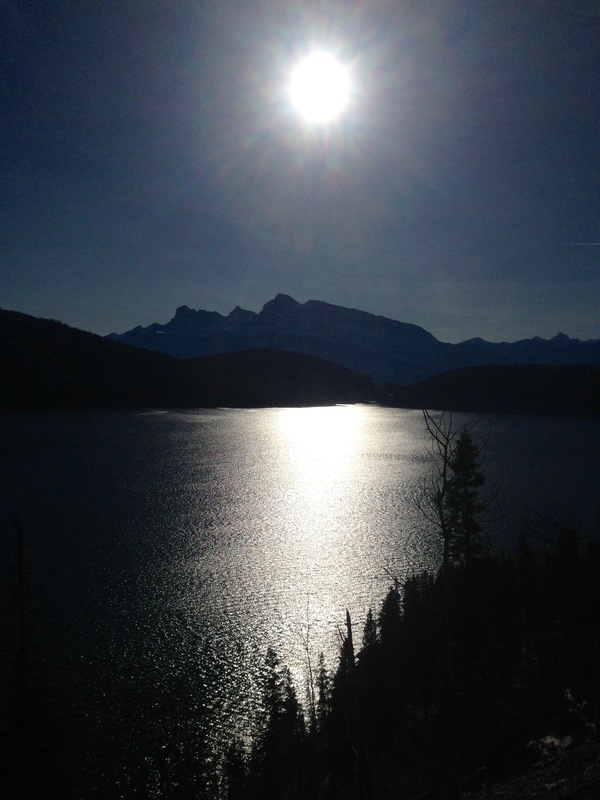 At 21 km long (and 142 m deep) it’s the longest lake in the mountain parks of the Canadian Rockies. 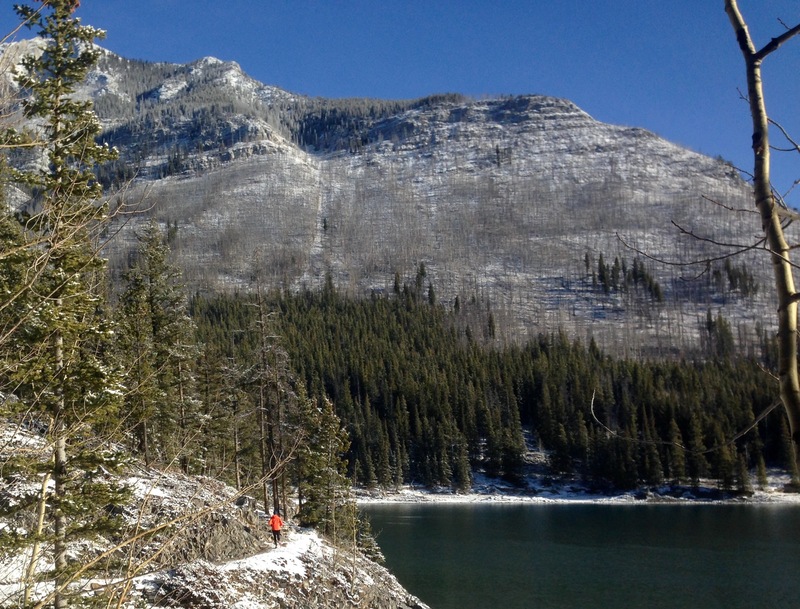 According to Parks Canada, for more than 100 centuries people hunted and camped along the original shores of the lake. The Stoney people called it “Minn-waki” or “Lake of the Spirits”. They respected and feared this lake for its resident spirits. The Early Europeans called it Devil’s Lake. In 1886 the “Beach House”, a log hotel, was built along the original shores of Lake Minnewanka. 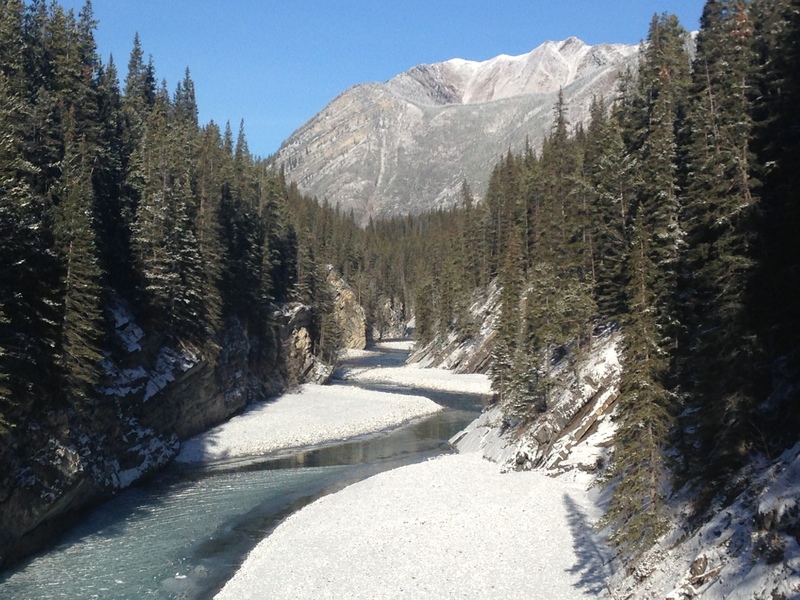 By 1912, a summer village called Minnewanka Landing was established. The lake’s west end was first dammed in 1895 to improve the boggy shoreline for boating. 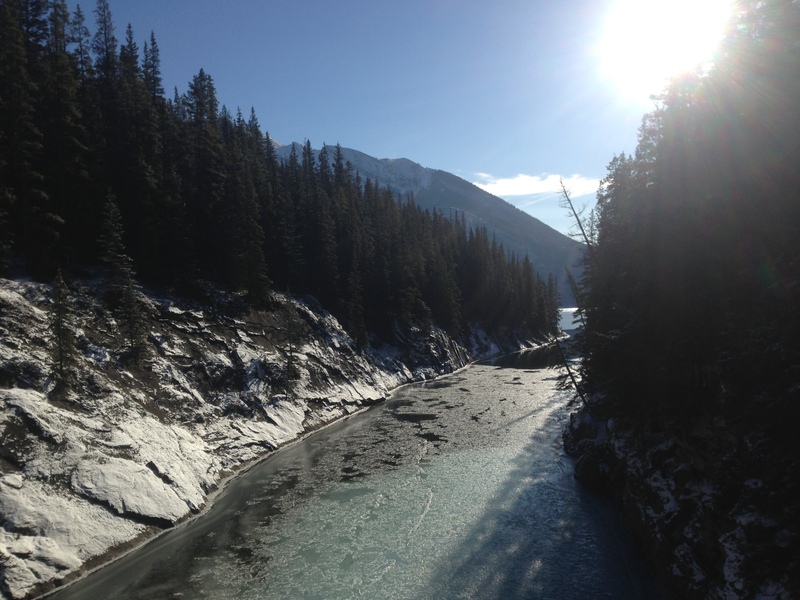 It was dammed again in 1912; this time to store water for a downstream hydro-electric plant on the Cascade River. Construction of the final dam occurred in 1941 after a twenty-year struggle between advocates of power development and those concerned with protecting park resources. This raised the level of the lake by 30m, fully submerging Minnewanka Landing. So, what about those trails? 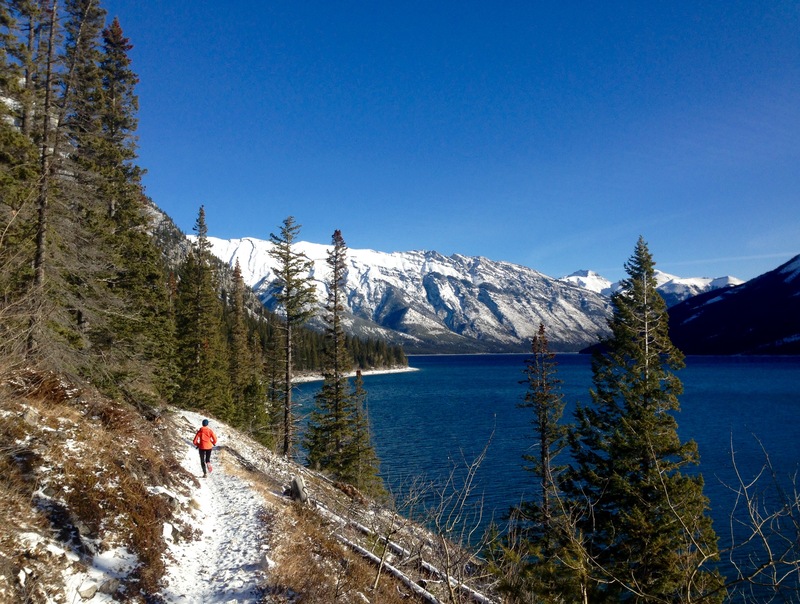 The run to Aylmer Lookout, and other destinations around or near the lake, will be the subject of future posts. The trail along the lake is superb. Single track all the way, it begins gently enough, with wonderful views of the lake as you head towards and across Stewart Canyon. From the canyon, things take a decidedly upwards but not too arduous trajectory through the trees before bringing you out high above the lake. From here, it’s a fun ride above and along the shoreline beginning with a short, sharp downhill followed by undulating, rocky and rooty single track in and out of the trees. After around 7.8km you reach the turn off for the trail to Aylmer Lookout (a further 4km) and the Aylmer Pass (a further 5.7km). 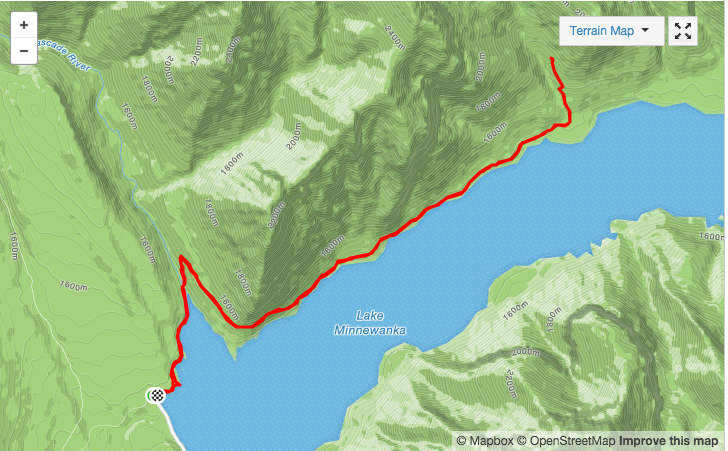 Alternatively, you can continue along the lake trail for a further 12 km or so. Whichever way you go, there’s a gentle reminder at the intersection that you are in bear country and certain precautions are required, particularly between July 10th and Sept 15th – travel in groups of four and carry bear spray at all times. Lake Minnewanka is on the edge of one of three “core areas” for grizzly bears in Banff National Park. These core areas contain critical bear habitat, and a concentration of female grizzlies live and raise their cubs here. Female grizzly bears are dependent upon buffaloberries which grow in abundance here. 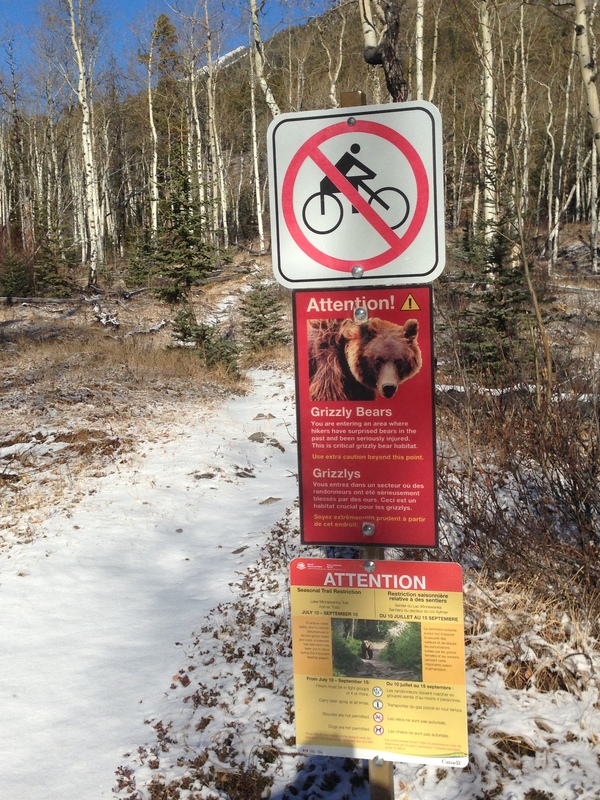 Surprise bear encounters involving cyclists have occurred along the Minnewanka Trail. I can’t wait to get back there and explore some more. Back again soon. Until then, happy trails. I have got to try a few more of these trails. Thanks for the insights.